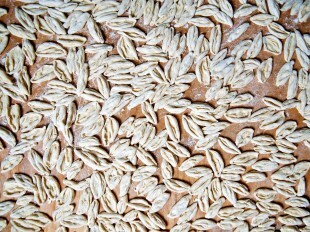 Feride Buyuran has devoted much of the last decade to promoting the cuisine of her native Azerbaijan abroad. She writes a blog at azcookbook.com, gives cooking classes, public talks and even puts on the occasional Azerbaijani cuisine and culture evening at her home in Long Beach, California, where she has resided for the last 16 years. She is best known, however, as the author of Pomegranates & Saffron: A Culinary Journey to Azerbaijan, a cookbook she self-published in 2014 that went on to win five major awards (to learn more about this rare book, don’t miss our interview with Feride in 2015, Pomegranates & Saffron: Spreading the Culinary Word). If all this weren’t enough, this summer she launched a new venture – leading her first food tour across the Caucasus. Among the inaugural seven guests were food critics and historians including Charles Perry, President of the Southern California Food Historians Association, as well as amateur foodies eager to find out about the culinary life of Azerbaijan. Intrigued by how it went and what Feride’s future has in store, Visions caught up with her in downtown Baku after her inaugural Colours of the Caucasus tour. The title of my book is Pomegranates & Saffron: A Culinary Journey to Azerbaijan, so that “Culinary Journey to Azerbaijan” really stuck with me so I thought it would be really cool to realise the tagline [and] have a tour to Azerbaijan, she reflects. Although she’d previously received interest in tours from fans of the book and talks given in the US, I really didn’t think that I would ever do it, she admits. Once the penny had dropped, just a few days were needed to sketch an itinerary. The bulk of her time was spent hammering out the details: I really wanted the tour to be culture and food, she tells Visions. I wanted them to learn about our culture through food and not only through food – through music, through art, through folklore, through crafts, through anything that Azerbaijan had to offer. Once you have a dish, you can ask how it was created, she continues, why it’s cooked in a certain way, why it’s cooked in a tandir [oven], you can learn so much about the culture of the people that make that dish, the history of the people, everything. The idea of using cuisine to explore culture is music to our ears. But it wasn’t all about Azerbaijan. As the group would end up at the country’s northwestern frontier after a week of slowly traversing the Caucasus Mountains, Feride decided to add an extra six days in neighbouring Georgia as a bonus. 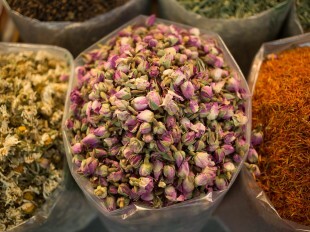 This gave them the chance to compare the two countries, as she says, because this is a tea country and Georgia’s a wine country, and get a better overall flavour of the Caucasus. Of course we don’t travel to Armenia but we can at least explore two countries. I really wanted to show the colours in terms of diversity, languages, everything, it’s just so colourful! That entire region is one of my favourites. The group departed from Baku to Quba in the north and then carved a path west along the stunning mountains, passing through the regions of Ismayilli, Qabala, Sheki and Qakh all the way to Balakan, which is where Feride’s family hails from: My summers were spent there so I kind of felt very connected to that route. Key to the spirit of the tour was engaging the support of family and friends living locally in each of the regions: My goal was to have them meet people, not just go to restaurants and to eat, pay your bill and leave and that’s it. I really wanted them to dine with the families, get to meet them, learn their history, background and everywhere we went they learnt so much from talking to people, simple people. Along the way they stopped off in some of Azerbaijan’s most distinct villages – Qirmizi Qesebe (Red Settlement), Khinaliq, Lahij, Nij, Ivanovka, Mahamala. All of these are inhabited by one of the country’s many ethnic minorities: Qirmizi Qesebe is home to the Mountains Jews, Ivanovka to the Russian Molokans, Lahij to Tats, Nij to an ancient Christian tribe called the Udins and Mahamalar to Avars. It’s clear that Feride wanted to squeeze in as much of the country’s ethnic diversity as possible. That was one of my goals and I called my tour Colours of the Caucasus, she says, continuing: I really wanted to show the colours in terms of diversity, languages, everything, it’s just so colourful! That entire region is one of my favourites. In every village the guests sampled local dishes and delicacies, immersing themselves in the local food scene. They loved the cuisine everywhere, says Feride. Every region was different to them. A favourite stop-off was Qirmizi Qesebe in Quba where they tried buglama, which is meat steamed in its own juice with herbs and vegetables, as well as chicken saj. 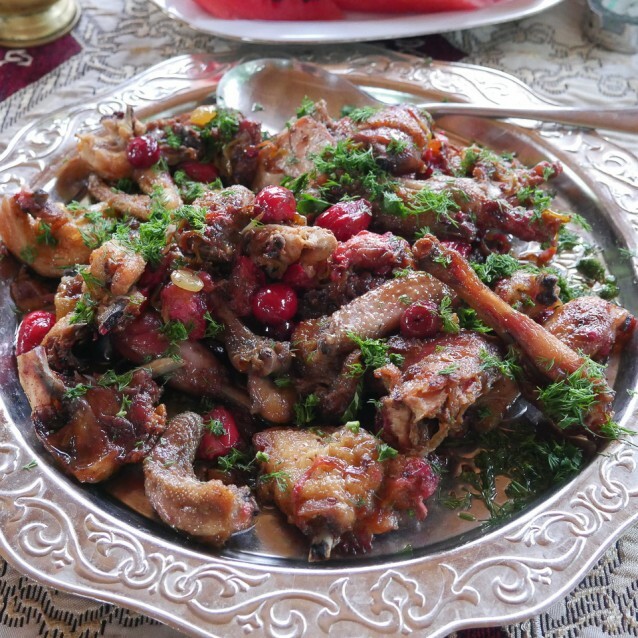 Another surprise was Nij where the group sampled firlama – a stuffed turkey dish cooked in a tandoori oven – and grape leaf dolma with walnuts, which are widely used in cooking in the Qabala region. One of the country’s most popular dishes, dolma (from the verb dolmaq – to stuff) is leaves stuffed with meat or vegetables and like much of Azerbaijani cuisine it has many regional variations, a theme Feride was very keen to highlight during the trip. To do so, she introduced them to dolma made from grape, quince and beech tree leaves as well as four different styles of pakhlava – the local variations of Baku, Quba, Qabala and Sheki, the last of which is supersweet and famously called halva. 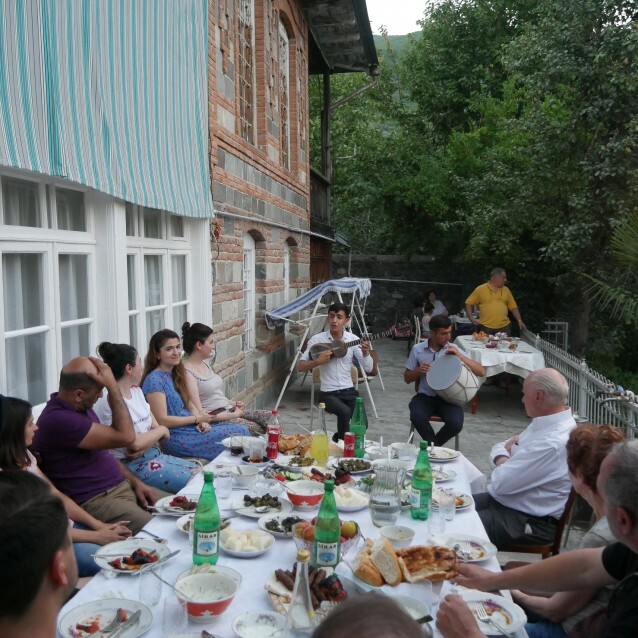 In Ilisu, a timeless village at the foot of the Caucasus Mountains in Qakh, they tried dumplings called girts and learnt to cook them with farmer’s cheese, herbs and meat. Impromptu masterclasses and demos, including one demonstrating how to bake delicious tandir bread, happened several times during the tour, as did listening to local music and folklore. They were entertained by mugham in Baku, the Russian folk group Slavyanka in Ivanovka, the nagara drum in Sheki and the guitar-like tambur played by the Avar people in Mahamalar. The group was just so mesmerized by all the music, they loved it, says Feride. Cuisine, culture and music all rolled into one uniquely immersive experience: So we would sit at a table and then there would be music, dances, everything was included and then we would also do house tours. Everywhere we went to eat I would ask the owners to show us the house, she says. 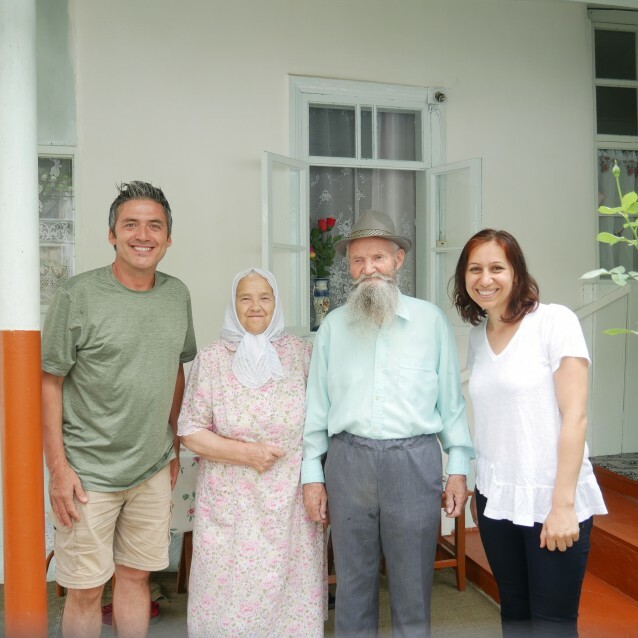 But at the centre of all these gatherings were the local people themselves and it was they, according to Feride, that left the deepest impression on the guests: When I asked them what they liked most about Azerbaijan they said the people. They liked everything but most of all they liked the people because the people were welcoming everywhere and open to telling stories to them. They absolutely loved the people. In other feedback received since the end of the tour, food historian Charles Perry described the trip to Azerbaijan as “eye-opening” and “full of surprises.” Everywhere we went was a completely new experience, Feride says, adding that they also visited local farmers’ markets and even took a ride in a Lada Zhiguli to the mountaintop village of Khinaliq (a rural experience not to be missed). In a nutshell, it was immersion into Azerbaijani life maybe, in seven days, she says. All the positive feelings and feedback beg the question – what’s next? 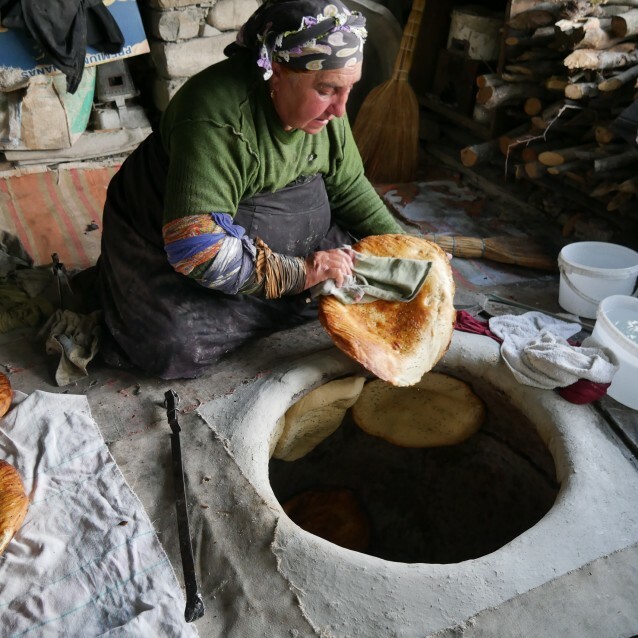 Feride says she plans to repeat the trip next year, maybe twice, and is researching as possible additions areas of Lenkeran, Ganja and Qusar: I love their bread-making traditions – the kharak, every house has them, she says of the latter. One thing she won’t be changing, though, is the small group size: You become like a family in a short period of time [...] I really want them to experience everything in an intimate atmosphere. On a personal level, Feride also plans to make another book, this time blending cuisine with travel. Surprised by the number of new recipes she’s come across over the last few weeks, she feels sure Azerbaijani cuisine harbours many more secrets just waiting for her to discover and present to the world: When I start writing the book I’ll contact those people and get more recipes and maybe I’ll travel back here and take pictures, she says. Her ultimate goal, however, would be to present a food show on television in the US: I’ve been dreaming about it all my life because they have programmes focusing on certain cultures, food and travel programmes. There’s Mexico, Lebanon, for example, and I was thinking maybe we could add the Caucasus; maybe even some of Turkey, the Black Sea. With seemingly limitless energy and ideas to match an entrepreunerial spirit and undeniable passion for her native cuisine, it certainly wouldn’t be beyond the realms of possibility for a producer to one day come knocking at her door: I hope so too, she says. I’m sending messages to the universe. Feride also organises private tours for individuals and groups, for more information see www.feridebuyuran.com.